Wedding bands are continuously getting more creative and abstract. 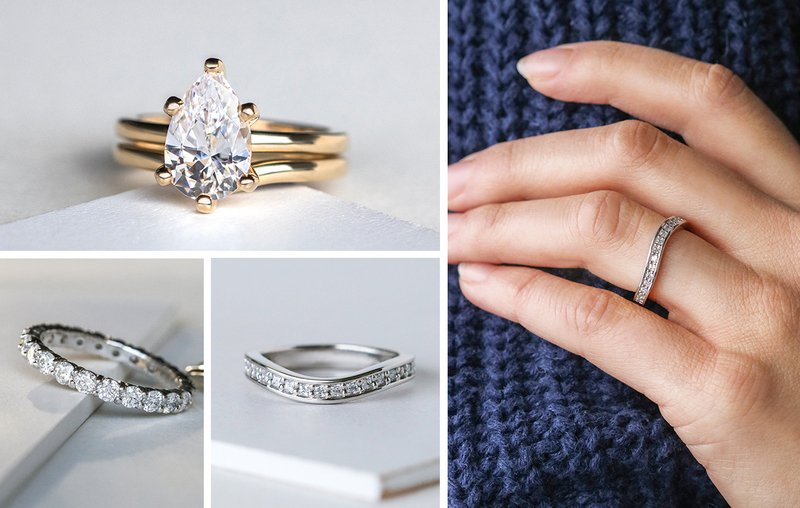 Achieve your ideal band with inspiration from these popular designs. The thin, micro-detailed look is in. With these trendy bands, you have the unique option to stack them or wear them alone. Design them sleek, with minimal metal detail, or dazzling, with accents and smaller stones. 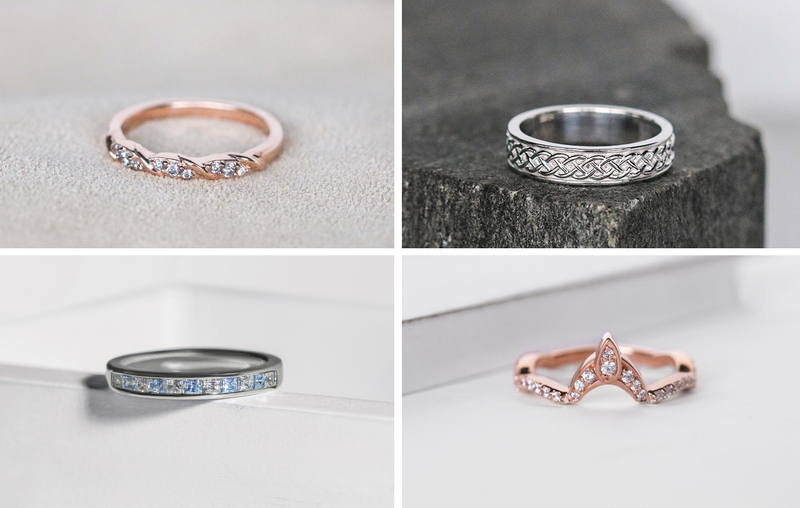 Nesting bands are a popular style to wear thin, and although they are designed to fit nestled next to your engagement ring, some are versatile enough to also be worn as a fashion ring. 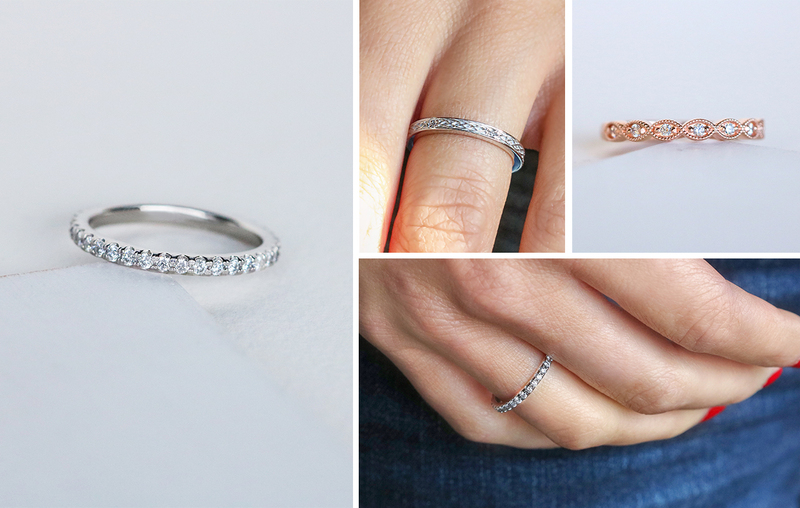 If you’re looking to add glamour to your wedding set, eternity bands pair perfectly. Along with a striking amount of sparkle, they symbolize never-ending love and commitment. Brilliant cuts, like Pear and Round Brilliant, have many facets to enhance luster and are excellent for accent stones. Pack a lot of glamour into a thick band, or keep it refined with a thin band for any hand. If you want to design a traditional thick-style band, you can still add a touch of modern detail. Add a personal engraving or unique texture that brings enough life to the design, without overpowering it. You can also incorporate a hint of sparkle from subtle stones. The best part of custom is that your design can be as rare and ornate as you’re willing to go. Floral inspired has continued to increase in popularity, but we’ve seen styles incorporate anything from vineyard vines to lacy twine. Intricate metalwork will add personal details and create a style all your own. 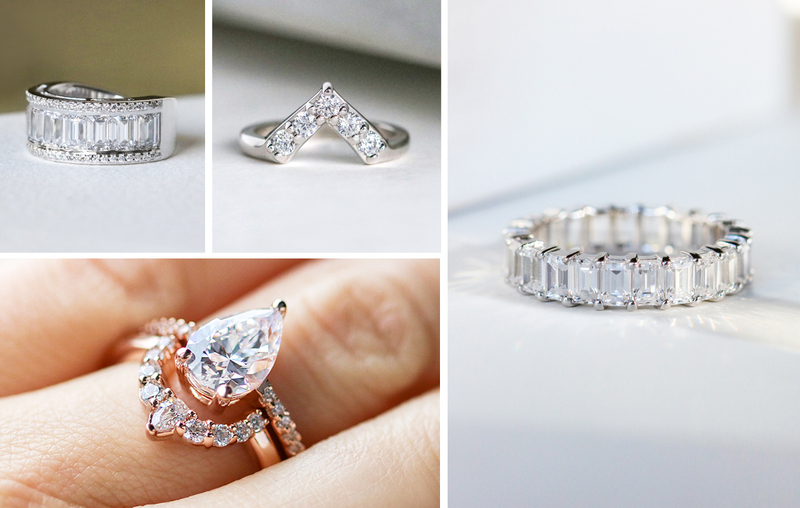 Tell us about your ideal wedding band style in the comments! 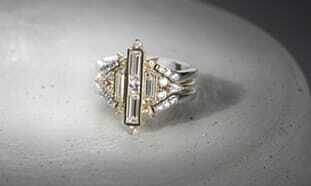 I would not mind having an eternity band with diamonds all around. I realise the jewellery industry abandoned them years ago due to the challenge of resizing. Yet I still want one to the tune of two to 3 carats.